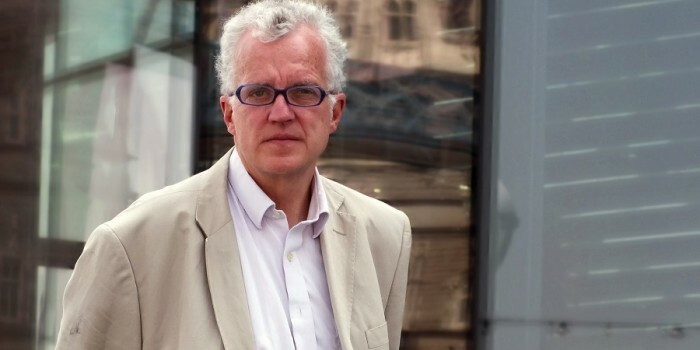 Christian Wolmar’s work on railways is well-known: he is a prolific journalist and author. He is also something of a British Michael Moore, with all the strengths and weaknesses that implies. On the strength side it means a lot of research: he is no ignoramus. He also writes well, and conveys specialised and sometimes technical information to the general reader very effectively. But, like Moore, he also has the messianic habit of seeing only one side to the argument, and, like Moore, he won’t let inconvenient facts get in the way of his conclusions. Wolmar’s views are summed up in the book’s title. This then, is the story of how a great organisation was ruined by ideological politicians and incompetent managers. Strangely, half of the book is a simple reprint of his earlier book, Broken Rails, unrevised and unaltered. Those who have bought that volume will have the right to feel annoyed at this rather cheap tactic. The cornerstone of Wolmar’s case is safety, and in particular the Hatfield crash, in which four people died. Wolmar does not pull his punches: Hatfield was “clearly the result of callous political decisions”. This will not do. Independent academic research has shown that the number of accidents and the number killed under the privatised, fragmented system was lower than under British Rail, and was improving at a faster rate. Imperial College professor Andrew Evans has shown that since the separation of track and trains, 15 fewer people a year have died than we would expect. Wolmar notes Evans’ work, but dismisses it as “hypothetical”. It is not: it is something that politicians, managers and workers can be proud of. Wolmar then complains (correctly) that we have become irrationally obsessed with rail safety, and that ridiculous sums of money are being spent to avoid minor risks. He puts this down to hyped-up media coverage of accidents, which has scared politicians. But for Wolmar to cry wolf so frequently — “there really is blood on the hands of those who created the privatisation fiasco” — and then to complain that people are scared, and spend so much money on anti-wolf defences, is deeply hypocritical. To Wolmar the private sector can do no right in railways. He criticises it for building duplicate lines in the 19th century — and then criticises Beeching for cutting out duplication. He criticises 19thcentury railway engineers for not building fast enough lines, apparently unaware that British railways were the fastest in the world. Not that it is clear why he likes state ownership: he lists a litany of British Rail’s “crass errors”, how they wasted £10 billion in a mistaken modernisation plan, how it took 30 years for the nationalised railway to “at last grasp the nettle of efficiency”. He does not rate recent transport politicians either — from John Prescott to Stephen Byers to Alistair Darling, none get good coverage. Why, then, if BR was regularly so incompetent and recent politicians so bad, should we think that they could run our railways effectively? Under private ownership, British railways run far more trains and convey far more people than at any time since Beeching, and do so far more safely than at any time since George Stephenson. Yes, there were and are mistakes, some by government, some by managers, some by workers. That is true for any industry. Privatisation, it appears, is the worst solution — except for all the others that have been tried. Timothy Leunig is lecturer in economic history, London School of Economics. I am grateful that you do not think I am an ignoramus and though I don’t really like him, being likened to Michael Moore is a compliment and will look good on future book jackets. However, if you appear to give me something like a B minus with some praise at the beginning but a lot of criticism at the end, I suggest your analysis would get, generously, a C at best and probably lower. I expect academics to be, well, academic – rigorous and robust in their arguments but I am afraid your little review seems to fail on both these counts. Let me pick apart a few of the points you make. 1. I made clear that the book uses Broken Rails as its basis. Broken Rails was out of print and the publisher wanted to reprint it as there was continued demand for it, but I thought it was better to provide an update. It was not a cheap tactic, but a good way of updating a still unfolding story. Indeed, the historical chapters were thoroughly edited with the help of a couple of critical readers and there were various additions in other chapters, although the ones on the accidents were largely left untouched. Crucially, however, I added a whole new analysis on cost increases in the industry which you fail even to address. 2. You misunderstand the safety debate. It is unequivocally accepted, as stated at the trial, that Hatfield – and therefore all its consequences – was a direct result of the way the industry was privatised, and in particular the political decision to fragment the railway and compound that error by forcing Railtrack to contract out its maintenance work, a mistake which fortunately has now been remedied. However, I accept that under privatisation the safety record of the railways has improved overall. Nevertheless, the accidents I analyse were all caused in one way or another by the changes brought about by privatisation (I would accept that the relevance of privatisation was highest for Hatfield and Ladbroke Grove but would still maintain it was an important factor in Southall) and these specific accidents would not have happened had the railway not been privatised. Of course, other crashes might have done but that is, as I say, hypothetical, something which Evans accepts but you seem not to. 3. Some of that improvement is a result of the far more onerous safety regime which was required by privatisation and which was given further impetus by the rapid succession of accidents in its aftermath. The fact that the privatised companies are not trusted by the public required a higher level of safety oversight, something that has affected performance as well as cost. I am not, therefore, being hypocritical but merely attempting to explain what has happened in relation to safety since privatisation. Nor, as you suggests, am I being critical of railway workers who have brought about that improvement. The result has been a safer railway but at what cost? The search for 100 per cent safety by incompetent managers after Hatfield led to the near collapse of the railway network for a couple of months. That too, I am afraid, was a direct result of the structure of privatisation and the ministers who made those decisions should be held responsible. 4. Who can say what the rate of improvement under British Rail might have been had it been allowed to survive. New trains, better signalling equipment, better knowledge of human factors and, as ever, lessons learned from previous accidents would have ensured continued improvement. Then, I am afraid your review really degenerates into shots from the hip that do not hang together but I will try to pick out what you are trying to say. 1. On ‘fastest lines’. For a while in the 19th century some of the lines were indeed faster than those abroad but speed was not the main motivation of many of the railway companies – Sir Richard Moon of the LNWR, for example, deprecated any attempt to go above 40MPH and the Great Western eschewed speed, too, until the 1890s when it begun to develop a series of faster locomotives and indulged in the race to Plymouth with the South Western. 2. On state ownership, of course British Railways (it was not called British Rail till much later) blew a lot of money on the modernisation plan but that was in the 1950s. It is a bit rich of you to suggest that because I am critical of what happened in the 50s, I am suggesting the whole model was wrong. 3. By the 1980s, under the leadership of Peter Parker and Bob Reid 1, it was getting a lot right and indeed at the time of privatisation was the most cost effective railway in Europe and much better value for money than today’s railway (can you refute that??). I don’t want politicians running the railway any more than you do, but oddly under the present structure they are in danger of doing just that. A state owned rail company at arms length from the government is the least worst option as far as I can see. 4. Yes, British railways are running more trains, more safely, but, as an economist, you must know that the prime determinant of railway usage is the state of the economy and, secondly, fares levels. There is very little evidence that the increased use is down to anything done by the privatisatised companies, as I explain in the book. Privatisation is the worst solution for the taxpayer – and has not delivered much for the passenger with pre Hatfield performance only now being achieved. It was also, as I argue, extremely expensive, and disruptive to an industry that, broadly, was functioning well. And it could be argued that we barely have a privatised railway now anyway given the lack of flexibility for the TOCs and the status of Network Rail.